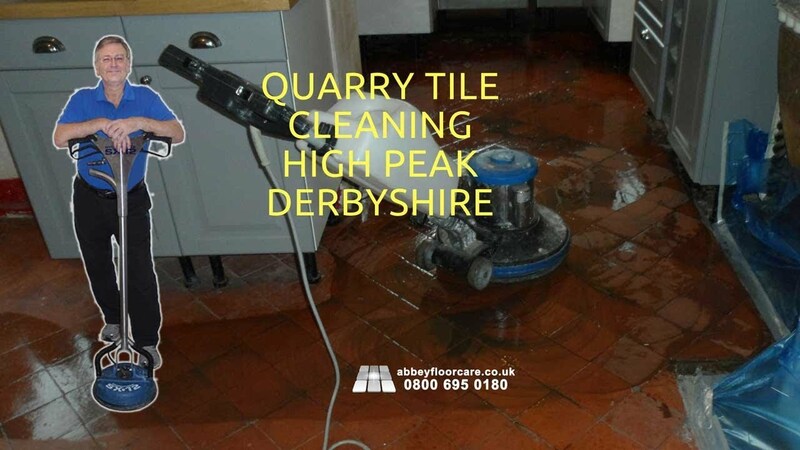 This quarry tile cleaning High Peak project came about because our client was looking for a reliable quarry tile cleaning company to clean and seal the floor in her kitchen and dining rooms. "My floor is absolutely brilliant. I can't get over the colour. It looks like a lovely floor again." There was quite a lot of lippage over the floor. The lippage meant that any scrubbing may cause splashes. As I was using some strong cleaners, the splashes could cause damage to paintwork. 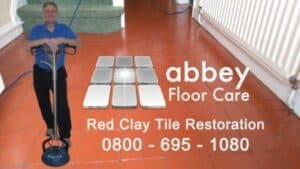 So I started by installing protection around the floor to protect walls and adjoining floors against damage from chemicals. 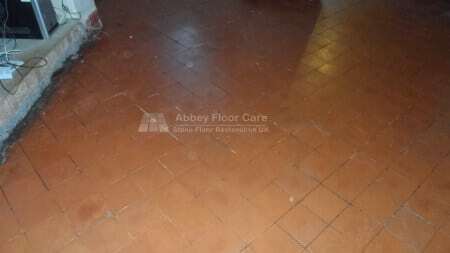 I started the cleaning by scrubbing the floor with quarry tile cleaners to remove the ingrained soil. 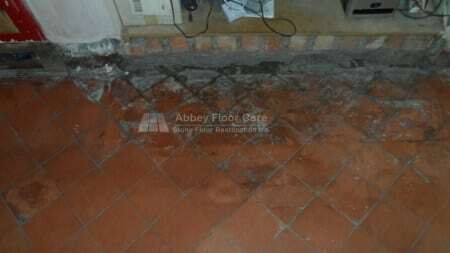 Then I moved on to scrubbing the floor with acid-based cleaners to remove the light efflorescence deposits. I left the floor for a couple of hours to dry ready for sealing. I applied 3 coats of high-quality colour enhancing impregnating sealer. 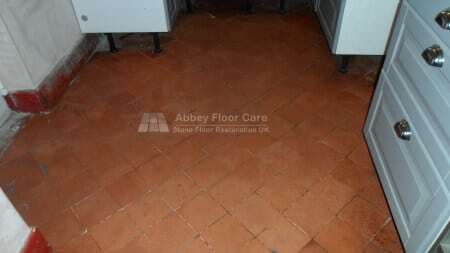 The sealer enhances the colours in the tiles, similar to applying linseed oil to quarry tiles. 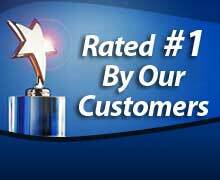 A sealer does not have the problems of oxidation and discolouration that can come with of linseed oil. 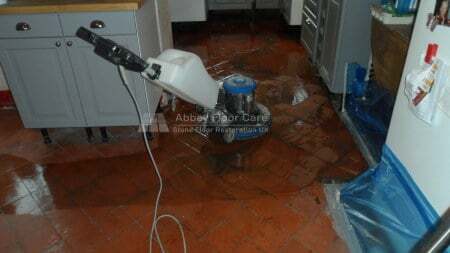 The sealer gives protection against spills and makes the floor easier to clean. Once the sealer had dried, I applied a coat of fila wax to further protect the floor and improve cleaning. 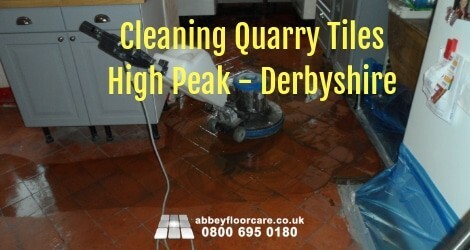 If you a problem cleaning quarry tiles, please contact us, we will be happy to help.